NEW YORK (AP) -- The NFL will look into changing instant replay rules in hopes of avoiding a repeat of the blown call by referee Ed Hochuli that helped cost San Diego a game last season. The competition committee will propose at the league meetings next week that when the ball comes loose when a quarterback is throwing, replay can be used to determine if it is a fumble or an incomplete pass. Such a change would resemble the rules alteration made for down-by-contact plays two years ago. In the final minute of a game at Denver in Week 2, Hochuli ruled a ball that slipped from Broncos quarterback Jay Cutler's grasp was an incomplete pass instead of a fumble. 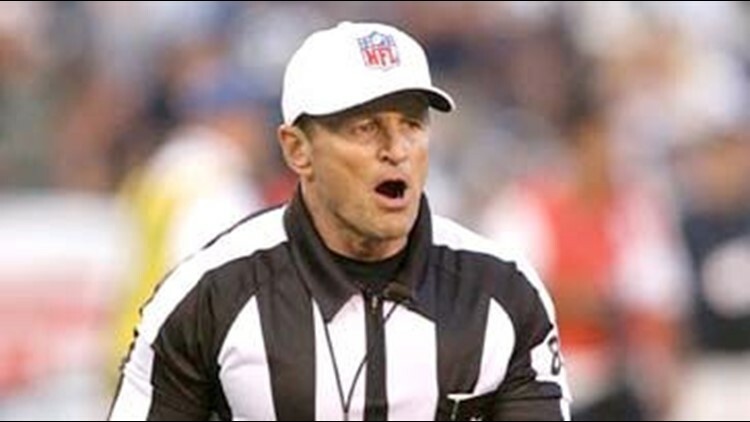 The ball was recovered by the Chargers and Hochuli later acknowledged his decision was wrong. Under league rules, the play was not reviewable. The competition committee believes it is an area that should fall under instant replay reviews. "We thought when we watched the plays happen, basically it happened the same as the down-by-contact, and it should be reviewable in the same context," Rich McKay, co-chairman of the committee, said Wednesday. Hochuli's mistake could have cost the Chargers a playoff spot. The Broncos went on to win that September game with a touchdown and a 2-point conversion, and they built a three-game lead in the AFC West. But San Diego rallied to win the division. McKay said replay reviews for loose balls that are out of bounds when they are recovered also will be proposed. The main rules emphasis will be on player safety at the meetings. The committee will suggest eliminating the bunch formation on onside kicks. During discussions with players and coaches, it became clear that bunching up players on such kicks "are creating matchups that we don't like," McKay admitted. The committee also wants to eliminate the wedge of three men or more blocking on kick returns. "Plenty of teams have done it with two-man wedges, some do it with no wedge at all," McKay said. Any hits to the helmet of defenseless receivers also are being targeted for elimination. Previously, only helmet-to-helmet hits have been outlawed. "One of things we really focused on this year was player safety rules to eliminate techniques such as helmet-to helmet hits," NFL vice president of operations Ray Anderson said. "What we certainly noticed toward the second half of the season in particular, our violations for helmet-to-helmet hits started to decline. Players were adapting their play..."
Helmet-to-helmet contact on blindside hits also would be eliminated or heavily penalized. McKay said officials will be encouraged to continue making low hits on quarterbacks and horse-collar tackles points of emphasis. Another proposal is to eliminate the re-kick of an onside kick when there is a violation by the kicking team, with the receiving team taking the ball where it was recovered. A bylaw change to the order in which teams draft will be discussed by the 32 owners. The competition committee proposes the order remaining the same for non-playoff teams, based on record, with weakness of schedule serving as the tiebreaker. But for playoff teams, they would be seeded according to when they are knocked out in the postseason. "A team can win a playoff game and yet get to pick (in the draft) before the team it beat," McKay said. That situation will occur next month when the Colts, who lost to the Chargers in the playoffs, choose 27th, and San Diego goes 16th. Such a change would not apply to this year's draft.